The secret to getting the best results with your MFLB vaporizer is getting your dry herbs ground to the perfect consistency. The Magic Flight Finishing Grinder is specially designed for use with the Launch Box and is the best herb grinder to use with this portable vape. With this Finishing Grinder, it's incredibly easy to grind herbs to the perfect ultra fine consistency for optimal results. 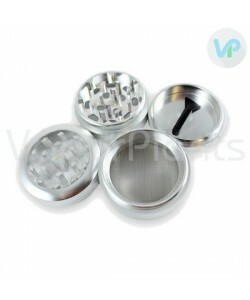 The herb grinder is designed to fit right inside the trench of the Magic Flight Launch Box, making it very easy to use. The unique metal grate delivers a completely even grind very similar to what you'd get from a top-of-the-line cheese greater. Even if you're new to vaping, you'll be able to get your aromatic blends ready for use in minutes with this tool. Like the Launch Box, the Magic Flight Grinder is fully handcrafted out of 100% natural hardwoods. The superb quality allows these to carry a lifetime warranty, so you'll be able to enjoy it for years to come. 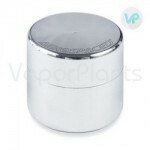 The grinder even comes with a metal carrying tin lined with felt to protect it and store in between uses. Great selection - Review by Dorothy R.
VaporPlants really does take plenty of time out to help their customers. I am new to vaping and they definitely took all the time I needed to help me figure things out and explain things to me. I think they have a much bigger selection than that of other places.